Surgentec is excited to provide a new bone graft delivery system for orthopedic and spinal surgeons: the Graftgun®. This minimally invasive, patented Graft Delivery System (GDS®) was designed to offer both surgeons and patients alike with the best possible results. Because of its unique, ergonomic design, this bone graft technology provides universal, quick, and accurate bone graft delivery to surgical sites, including areas that are normally hard to reach. Not only does the Graftgun eliminate many of the problems associated with using a traditional funnel for bone graft procedures, but it also gives surgeons new, patented tools for this common surgery. The Bonegraft’s patented, controlled release technology was designed so that surgeons could easily and safely dispense bone graft material to any surgical site. Thanks to this medical device’s unique loading technology, surgeons will now have the freedom to choose the type of bone graft material that best suits their needs (synthetic, allograft, or autograft). This makes the Bonegraft an ideal delivery system for a variety of purposes. The controlled release trigger delivers precisely .25CC per squeeze. An ergonomic body design provides maximum control and comfort for surgeons, while also providing maximum precision during bone graft placement. The Bonegraft comes equipped with both 5cc and 7.5cc tubes. These flexible tubes allow for accurate delivery in even the most hard to reach areas of the body. A radiopaque ring offers clear visualization under fluoroscopy, further enhancing accuracy. When bones are damaged, a bone graft can fill a void to provide orthopedic stability and an improved quality of life. Bone graft delivery systems can use material from a tissue bank, organ donor, or from material taken from the patient’s own body. However, in the past, most graft delivery systems were highly invasive. They carried risks for patients and posed limitations for surgeons. With Bonegraft technology, surgeons will now have access to a Universal, Accurate, and Fast delivery system that will enable them to offer the highest level of care to their patients. 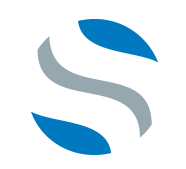 SurGenTec is a privately owned medical device company with one mission: To bring cutting edge medical device technology to the spine and orthopedic field. We put patient and surgeon safety at the heart of everything we do, and our medical devices maintain compliance with all applicable laws, FDA regulations, and industry standards. Ready to learn more about the Bonegraft delivery technology? Contact our team today for more information.